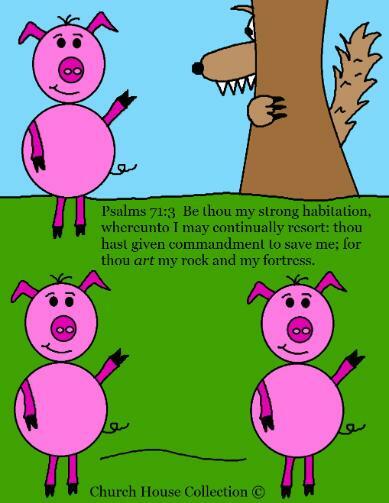 Just print the colored image off and hold up to the kids when you are telling the story of the Three Little Pigs. Apply this story with the wolf being the devil. The scripture from Psalms 71:3 is on the front of this picture. It speaks of the Lord being our Rock and fortress. If we build our house upon the rock it will stand when the winds begin to blow against us. If we build our house upon anything else it will not stand against the enemy. 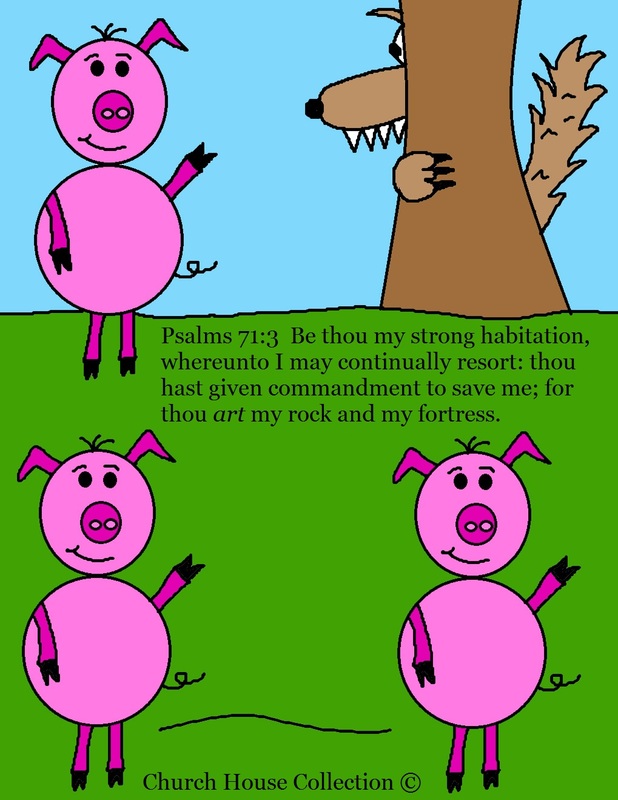 Read the lesson on The Three Little Pigs for the scripture to go along with this. This is such a great story to apply the scriptures with.